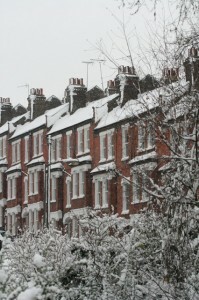 Last February I wrote a few posts about how Wandsworth had dealt with the snowfall. They seemed (surprisingly to me) well received and, as the country braces for some more cold weather I thought it might be worth repeating what happened, and what will happen again. Wandsworth dealt with an abnormal snowfall admirably. At a time when other councils ran out of grit and salt Wandsworth’s kept going almost non-stop for five days keeping the roads clear. By the end of the first day of snowfall, for example, the borough’s main roads were clear; they were also very quiet as people stayed at home and struggled to navigate through other boroughs that weren’t as well prepared. Once the main roads were cleared minor roads were tackled. And while all this was going on staff worked on clearing the pavements – with extra teams diverted to help in the effort. That’s not to say what we did was universally welcomed. I think many had unreasonably high expectations – perhaps assuming we have a huge fleet of gritters and teams of men sat around all year waiting for it to snow! Wandsworth has one of the larger fleets of gritters and (as mentioned) had the stocks of grit for them to use, but clearly we balance the costs of owning and maintaining specialist equipment against the relatively small amount of use they get over a year. The process is not an exact science and lots of factors come into play. Rain, for example, will wash away the grit and just the movement of vehicles will blow it away if it spread too early on a dry road. And the task is like the proverbial painting of the Forth Bridge if the snow continues falling. Gritting is undertaken pre-emptively. Teams are on stand-by and activated if the weather forecast predicts cold temperatures or weather that might cause ice to form. The priority for roads is to get main routes cleared before tackling side-roads. This priority stays in place throughout the cold weather. If pavements get icy a different set of priorities apply. First, a specific set of priority areas where there is a higher risk of accident and injury are gritted and cleared, for example outside care homes or medical centres. This list is reviewed regularly and additions can be made, so if you know somewhere that hasn’t been gritted that you think should be cleared let me know. These areas are regularly visited to ensure they remain clear. Next major pedestrian routes and then the side routes will be cleared. I had a few complaints last year that only one side of the pavement would be cleared. This is deliberate, since it effectively doubles the amount of roads we can open up to pedestrians (at the cost of a slight inconvenience of possibly having to cross the road). The council will also redeploy staff onto clearance. To give an example, there is little point in having street cleaners out when litter is frozen onto the pavement – so instead they help the clearance effort. The other issue that cropped up was whether people can clear their own area of pavement. There is certainly nothing stopping you, and assuming you tried to clear the snow and ice in good will (rather than just creating more ice) you wouldn’t be liable for any accidents. Wandsworth has 210 miles of road and 450 miles of footpaths and pavement – and clearly cannot tackle every inch simultaneously – but I think we proved earlier this year we were up to the task of keeping the borough moving when other boroughs were not. We can’t accurately predict what the weather will do this winter. But with each year we do learn how to deal with it better (I was in meetings talking about it for months afterwards). If the weather turns bad, don’t hesitate to get in touch if you know somewhere that you think should be cleared. All eminently sensible, but alas on the railway bridge at Oxford Road SW15, a very busy pedestrian and road access point, absolutely no sign of gritting, either before or after (12.30 Tuesday)the snow and ice. I will get this looked into for you. UPDATE: This had also been reported by Jim Maddan, one of the local councillors. A team was sent to grit and the bridge has and will be monitored during future cold snaps.